Pumice is a naturally formed volcanic rock produced when molten lava with a high gas and water content explodes out of a volcano. The pumice for the ‘You Rock’ series was carried by the ocean from The Kermadec Islands of New Zealand and delivered to Australia. ‘Let there be light’ and ‘Dishy’ were hand carved with a collection of local rocks in 2015. 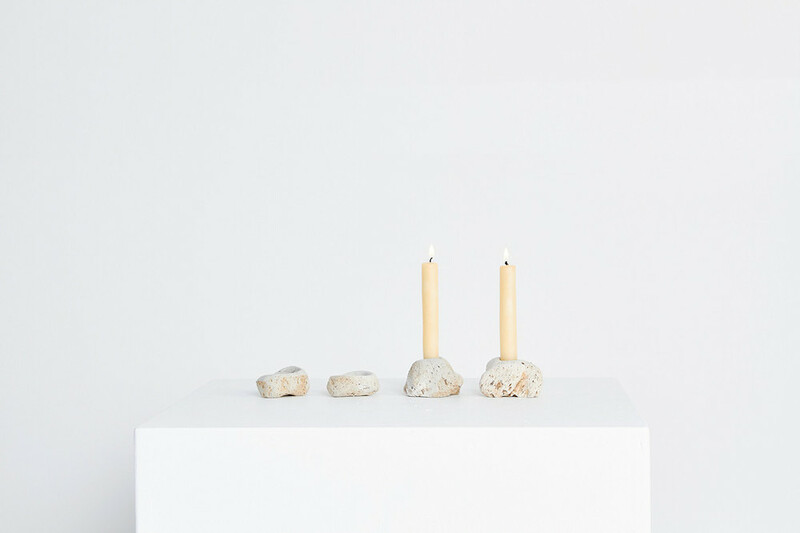 Included are a pair of organic beeswax candles by Northern Light. 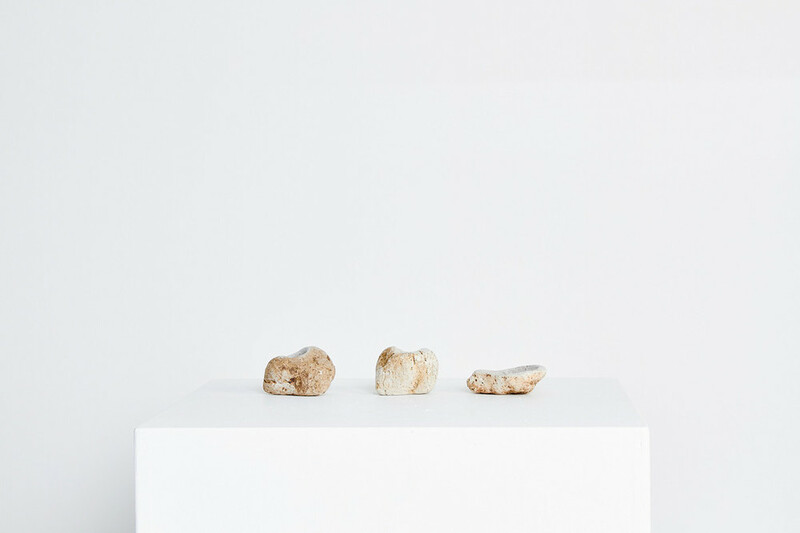 These works for 1-OK Club are part of the artist’s ongoing exploration of resourcefulness, natural and found materials and organic form. Read more on Indesign Live, Yellowtrace and Design Daily.